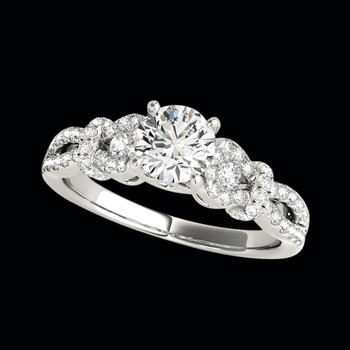 Platinum Diamond Delicate semi mount. A lovely diamond semi mount with 3/8ctw diamonds before your diamond center. We have thousands of vibrant diamonds that would be perfect for this rings center. Diamonds are available in different qualities price shown if for SI 1-2 clarity G-H color. Email requests@platinumonly.com for additional pricing.